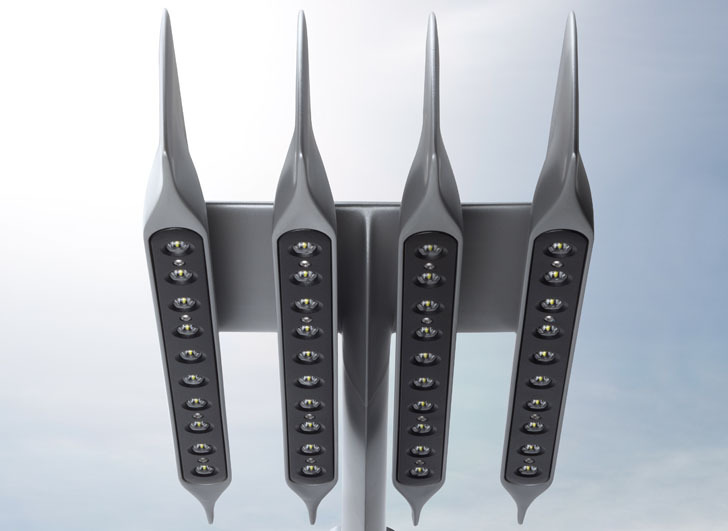 Lighting manufacturers Cree just unveiled a design for its new Aeroblades streetlights, modern, fin-shaped LED lights that the company hopes will replace traditional overhead streetlights. Cities around the US have recently begun replacing traditional metal-halide streetlights with energy-efficient and longer-lasting LED lights, and Aeroblades could be a great option to keep that momentum going. In addition to streetlights, the Aeroblades luminaire lights are designed to be used as area and security lighting. They optimize thermal management, efficiency and longevity, according to Cree. 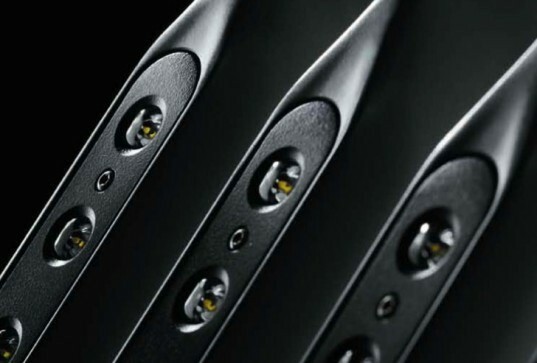 The modular design enables property owners to add or remove blades based on how much light is needed, and the lights can be fine-tuned using NanoOptic technology so that they can be further tailored to specific lighting needs. While the up-front costs of purchasing a new light are of course higher than continuing to use the one you already have, Cree expects that Aeroblades will save energy and money in the form of both light bulbs and labor. “It’s not an inexpensive job to change a light bulb–that’s where the payback is,” Cree vice president Christopher Ruud told CNet. The luminaires are designed to run for a minimum of 80,000 hours, and they come with a five-year warranty. Very informative! LED lights are very in now days as it saves electricity as well as cuts down our electricity bills. We can replace bulbs and lamps with LEDs.